"He's back Steve. Can you grab me our shooing broom from housewares?" 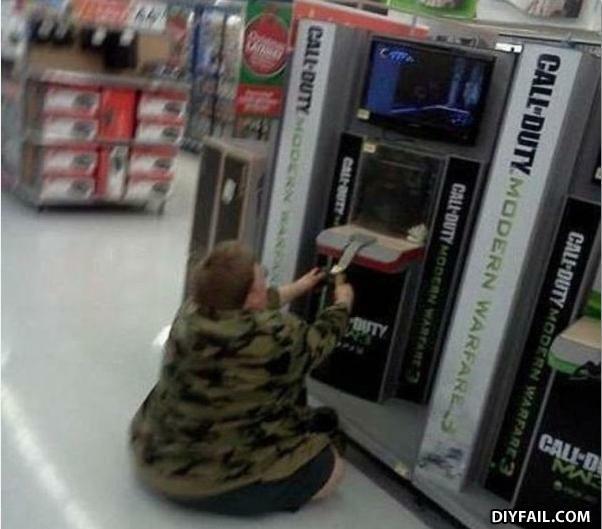 He's playing Call of Doody! If only I could get up afterwards! Moooom! Bring me my snacks. "How did they see me"? What Parenting in the 21st century has become! guys its not funny to make fun of fat people. IT'S HILARIOUS!!! It's a good thing he's in camo so he blends in with his surroundings!